Don’t delay – register today – and invite your friends to join us, too! All walkers are asked to raise contributions. Collecting contributions from your sponsors when they sign your contribution form will save you time and add to the enjoyment of fundraising. Registered walkers who turn in $100 at the Walk will receive a Walk MS T-shirt the day of the event. 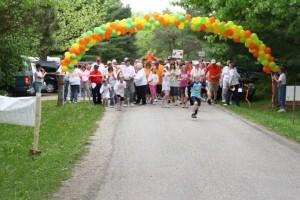 Have you walked with Lincoln MS Walk Before?